It’s back to school time. 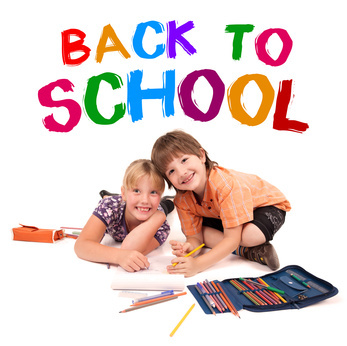 Students everywhere (and their parents) are stalking the shelves for study supplies, designer jeans, and the appropriate name brand back packs, lunchpails, and other accoutrements they need to win the approval, not only of their teachers, but more importantly, their friends and peers. It’s a time-honored ritual and seasonal marketing bonanza that provides a nice jolt of economic activity to jump start the hopefully, hot 4th quarter retail season. But while you’re trekking the aisles of your local Wal Mart wondering how you’re going to pay for all this back to school baggage if some of the “economic stimulus” doesn’t trickle down to your house pretty soon, consider this…. Maybe YOU should be heading back to school, too! It’s an uncontested fact that there’s a high correlation between education and income. In general, the more formal education you have–the more credentials and degrees–the higher salary you’re likely to command. From a pragmatic standpoint, knowledge IS power–EARNING power; the more you learn, the more you earn. In no field is this more true than in the computer industry. Because there’s a high premium on specific technical knowledge and skills like programming, network administration, or database management, subject matter experts in these and other areas can do very well professionally and financially, thank you very much. And EVERY organization relies on computers so IT professionals are always in demand. All you need are the appropriate credentials, some demonstrable experience, and access to the IT job market. Here’s the best news of all: It doesn’t take a 4-year college degree to gain the skills you’ll need for a high-paying job in Information Technology. At MyComputerCareer.com, you can obtain both the technical skills and IT industry certifications from Microsoft and others that will take you a long, long way in your career. And you can do it in as little as three short months with classes just two nights a week! But that’s not all. Due to an intensive hands-on training protocol, you’ll achieve a higher level of competence and skill than in any more protracted program we know of. You’ll gain real experience that will serve you in the interview and on the job. AND we’ll help find you a job! In other words, in a few short months, you could be well on your way to higher earnings, a more challenging, satisfying career, and a way to step up your kids’ fashion labels (not to mention your own) from “Made in China” to “Calvin Klein.” They’ll love you for it!